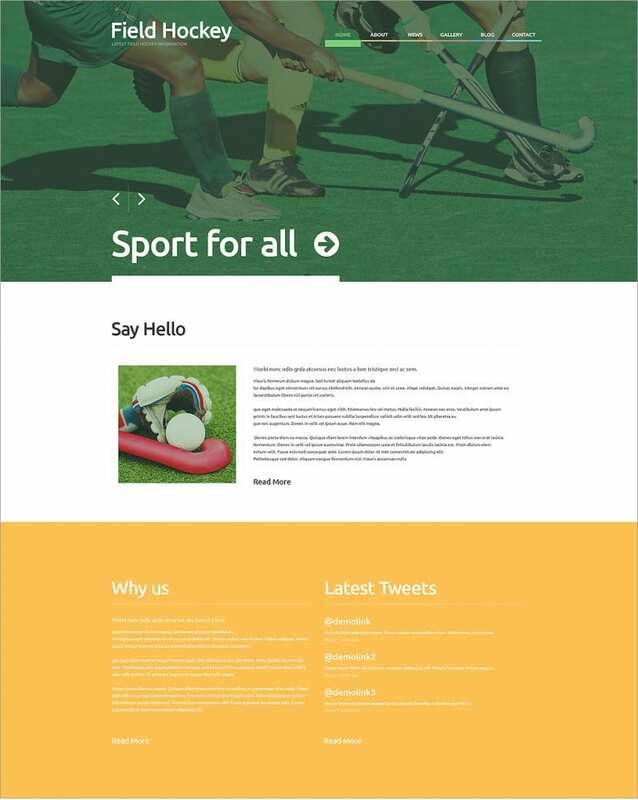 Hockey news, team performance, score card, ranking of each team and fixtures can be managed in a simple manner through hockey WordPress themes. These themes are specifically designed to manage results, teams, players, point table and the event as a whole. They enable you to keep track of players’ statistics, use social media to interact with visitors, write match reports, and customize the look of the website completely. These themes come with default header style, but there is also the liberty to add your own header. Hockey WordPress free and Premium WordPress Themes and Templates enable to broadcast team accomplishments by creating exciting event pages. The results can be displayed in a scorecard format. The event manager can handle the scores of the played matches easily from behind the curtains through result management feature. Add as many numbers of teams as you want, allocate them specific name & logo for easy identification and provide information for upcoming matches along with their scheduled time. Place for every event, the stipulated duration of each game and best shots of previous matches can also be displayed here.